We described the original as "the best Android tablet yet"
Doubts surrounding the launch date and price of Asus' second Eee Pad Transformer have been rebuffed by Jerry Shen, the company's chief executive officer. There had been rumblings in the market that the innovative tablet's successor would be delayed, but Shen said that it will deploy on schedule, with the target launch date rumoured to be later this month. 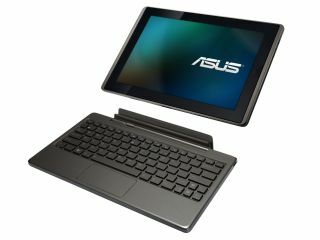 Shen also confirmed that Asus will not follow in the wake of the BlackBerry Playbook by cutting the price of the original Eee Pad Transformer, and the company plans to launch the Asus Eee Pad Transformer 2 at the $499 price point (£324). The outspoken CEO also strongly hinted that the tablet will receive the Ice Cream Sandwich Android update later this year, claiming that what he calls Android 4.0 will put Android on a level playing field with the iPad. The Eee Pad Transformer won us over in terms of usability and price, and its slightly gimmicky detachable keyboard and battery expander actually worked incredibly well. It was also a huge hit for Asus, which shipped more than one million tablets in the first nine months after launch.